The 71st Annual Retzlaff Family Reunion was held on Sunday, July 15, 2018, at the St. James Lutheran Parish Hall (416 First Street, corner of First Street and N Rockdale Street) in Lexington, Texas. Cost will be $12 per adult, $5 per child under 12. Please bring a dessert to share. Check out the family Facebook page for the latest announcements. The 70th Annual Retzlaff Family Reunion was held on Sunday, July 16, 2017, at the St. James Lutheran Parish Hall in Lexington, Texas. We had a very small turnout this year with only 17 adult family members attending (no children). We scheduled next year's reunion to once again be held in Lexington. Our dear brother William Glen Retzlaff passed away on Friday, February 5th, 2016. His older brother Melton Retzlaff wrote a wonderful history on Facebook. As most of you know, Bill Retzlaff passed away Friday before last. In the last few weeks of his life here on Earth, he was surrounded by his family and friends. Bill was a devout Christian and he surely went to meet his maker when he took his last breath here. As I sat through the memorial service on Monday, I kept thinking that at some point in the message we would hear some word about Bill. However, that never happened. I have thought about this for the past five days and I think it needs to be done. This is about Bill. William G. (Bill) Retzlaff, also known as Shorty to his family and close friends was born in Waco on April 7th in 1942. The family moved to Temple when Bill was about 3 months old, so he grew up and lived in Temple his whole life. 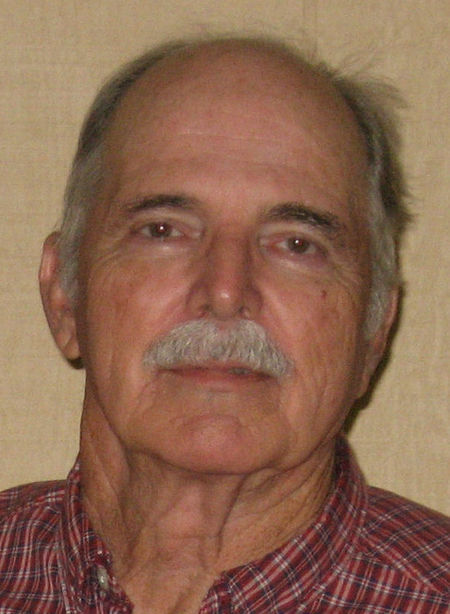 The family lived in a rural area most of our lives and Bill grew up hunting, fishing, riding horses and exploring the creek bottoms near our home. Bill suffered with Asthma for his entire life, but when he started to junior high school, he overcame this enough that he played Trombone in the band and also played football. He was among the best in both of these! When he was a freshman in Temple High School, Bill suffered a severe head injury that stopped him from playing football, playing in the band or riding horses. This was a really hard time for him. After finishing school, Bill tried to enlist in two branches of the service and was unable to do so because of the Asthma. This bothered him for a long time. At this time Bill worked at several jobs and was not really happy in any of them. He did start to drink to much at this period of his life, but it did not stop him from loving his family nor did it keep him from working and supporting his family. About this time Bill met Ardell who turned out to be the love of his life. They were married 48 years at the time of his passing . They have two children, Billy and Cynthia, who gave them four grandsons, Dalton, Garret, Wade, and Wesley! Bill never lost his love for music and a highlight of his life was to play guitar with a group at his Church! Bill was forever a patriot and he hosted a family gathering at his home on July 4th as long as his health permitted. Bill did join AA some 35 years ago and met lifelong friends and supporters. My sisters and I are very proud to call him our brother. There is a lot more I could say about Bill, but I am going to stop now by just saying we love you and miss you, but we are happy knowing where you are! Obituary can be found here. The 68th Retzlaff Family Reunion was held on Sunday, July 19, 2015, at the City of Morgan’s Point Resort’s Garrett & Mic Community Center, 60 Morgan’s Point Blvd, Morgan’s Point Resort, Texas with over 38 family members and guests present. The heat had returned to Texas, which made it so everyone wanted to head out to the swimming pool to cool off. The individual history books have now been updated with the photos from this year’s reunion. The minutes for this year’s reunion are also now available here. Our website hosting provider (GoDaddy) has determined that some of the files on our site are inappropriate for the type of website we have, namely the various PDF-based family history documents for the History Books and the Yearly Family Reunion Picture sets. In order to comply with their requirements, we have removed those files from our site. This does not mean, however, that these files are no longer available for your access and enjoyment. To do so, you will need to contact the site via this page and indicate on the form that you will find there exactly which documents you would like. We will then contact you as to how you may access those files. We apologize for any inconvenience this may cause, but we are striving to make sure that your family history resource is still available to you. The Retzlaff Family History information has been entered into a new software system that will let family members view family history information in a genealogical charts format. It is available at the link here, as well as the link below "Online Retzlaff Genealogy Information". In order to view all of the family member information, users will need to register on the site. All family members are encouraged to register. When you find information that is incorrect, please let us know at RetzlaffFamilyHistory@gmail.com and we can easily update it so we have the most accurate history possible. Please send us a note if you have any problems or questions with the system. The 67th Retzlaff Family Reunion was held on Sunday, July 20, 2014, at the City of Morgan’s Point Resort’s Garrett & Mic Community Center, 60 Morgan’s Point Blvd, Morgan’s Point Resort, Texas with over 48 family members and guests present. It was a beautiful day with blue skies and cooler than normal, which everyone appreciated. The individual history books have now been updated with the photos from this year’s reunion. The Minutes section has also included the Business Meeting minutes from this year’s reunion. Come join us on Sunday, July 20, 2014, as early as 10am for coffee and donuts, socializing, looking at family photo albums, and taking of family photos. The reunion will be held at Morgan’s Point Community Center, 60 Morgan’s Point Blvd, Morgan’s Point Resort near Belton Lake and the cities of Troy and Temple, Texas. A catered BBQ lunch will be served at noon. Please bring a dessert or a fruit salad to share. Lunch will be followed by the annual family meeting. Bring your swimming suits as there is a pool available for a nominal fee. Let’s celebrate our heritage and reconnect with our extended family. Contributions of $12 per adult and $6 per child will help cover the cost of food and facilities. RSVP to Kevin Clark, by July 16: 512-771-5845 or email kfclark1962@yahoo.com. Directions: From Waco, take I-35 S to Troy, take exit 306. Take Farm to Marken 1237 W and TX-317 S to Morgan’s Point Blvd in Morgan’s Point Resort. From Austin, take I-35 N to Belton. Take exit 293A. Take TX-317 N to Morgan’s Point Blvd in Morgan’s Point Resort. Today we celebrate the life of Helen Kathryn "Kathy" Tonahill Rogers. Kathy was born January 19th, 1941 in Waco, Texas to Geneva & Denzil Tonahill. She passed away, surrounded by her family, in Austin, Texas on March 20, 2014. Kathy grew up in Waco, attended Baylor University, and graduated in 1978 from the University of Texas at Austin with a degree in accounting. She held professional positions as a CPA with the University of Texas. After her retirement, Kathy enjoyed traveling, being active in a number of civic organizations, gardening, entertaining and being a mother and grandmother. Kathy was a member of many Austin organizations, including serving as Sustainer in the Junior League of Austin and the Sustainers Garden Workshop. the Helping Hand Home for Children, the Antiques Club of Austin, the Austin Women's Club, the Settlement Club and UT SAGE classes for continuing education. 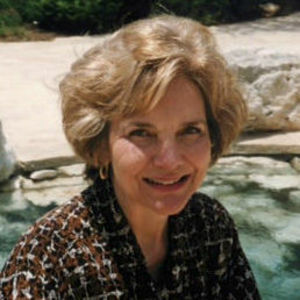 She served as president of the Docents of the Governor's Mansion, was an Austin Symphony Orchestra season ticket holder and attended the Symphony's Arbor Lecture series. She was active in book club and was a member of Tarrytown United Methodist Church. Kathy was a sought after member of these organizations because she was disciplined, reliable and participatory. You could count of Kathy; she was someone you wanted on your committee. Kathy loved her family above all. She spent her life supporting her daughters and their children in everything they did. From her "Camp Kaki" in the summer to attending her grandchildren's concerts, recitals or sporting events, spending time with Kaki was always fun. Kathy is survived by her loving family, Kim & Dave Murray, Karon & Ken Shouse, Angela & Carlos Godby, Caroline Murray, Margaret Murray, Corbin Shouse, Kathryn Shouse and Adele Godby. In lieu of flowers the family is requesting donations to either the Foundation For Ichthyosis and Related Skin Types (www.firstskinfoundation.org) or The Settlement Home of Austin. A celebration of Kathy's life will be held on Tuesday, March 25, 2014 at 11:00AM at Tarrytown United Methodist Church, 2601 Exposition Boulevard. All are welcome at a reception immediately following the service in the church Fellowship Hall. Donald Alan Retzlaff, webmaster for http://www.RetzlaffFamilyHistory.com, has always hosted the website on a personal webserver machine in his home. Starting now he has moved the site to a remotely-hosted location with GoDaddy. Everything about the site should be the same. During the initial testing phase of the new installation, some pages may be broken, or you may see code error messages. Please be patient with us as we work out the updates to the site. The hope is that the new hosting will provide quicker responses and more reliable service. Look here for further updates on these changes. The 66th Retzlaff Family Reunion was held on Sunday, July 21, 2013, at the City of Morgan’s Point Resort’s Garrett & Mic Community Center, 60 Morgan’s Point Blvd, Morgan’s Point Resort, Texas with over 60 family members and guests present. It was a beautiful day with blue skies and typical Texas heat, but many family members enjoyed the pool. Everyone enjoyed the great time with relatives. The individual history books have now been updated with the photos from this year's reunion. The Minutes section has also included the Business Meeting minutes from this year's reunion. 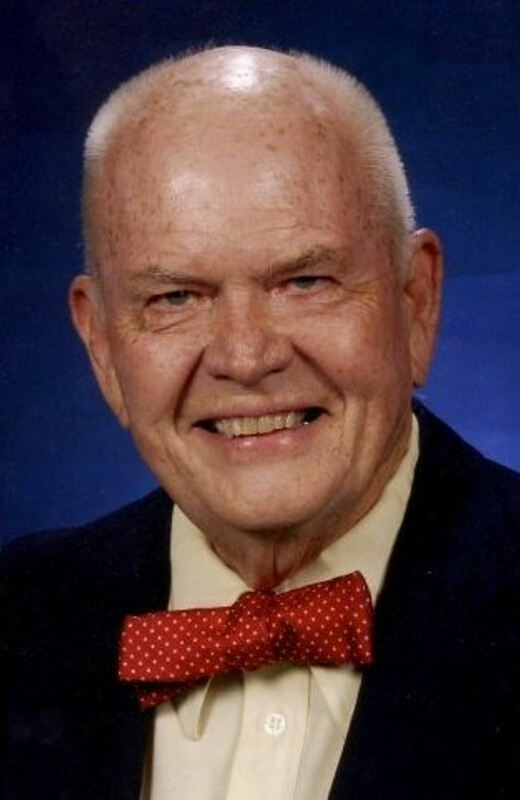 Donald "Tiny" Retzlaff, 86, the son of Emma Christine Retzlaff, of West Tawakoni, Texas, passed away January 15, 2013. The church service was held on Saturday, January 19th at the First United Methodist Church in Quinlan, Texas. The graveside service was held at Restland in Dallas, with full military honor guard and bugler. A special memorial document has been prepared by his son to honor his dad in pictures and words. You can view the document (in PDF format) here. Don was an integral part of the yearly Family Reunion, acting as the official photographer for the reunion until his son took over the duties. Each year Don related many stories about the family and encouraged each family member to write down their family stories. With the encouragement of his son, Donald Alan Retzlaff, the current Retzlaff Family Historian, Don wrote several books, including "Cousin Emma" that was about the life of his mother, Emma Christine Retzlaff, the family’s long-time historian. His presence at the yearly reunion will be sorely missed. The 65th Retzlaff Family Reunion was held on Sunday, July 15th, 2012, at the St. James Lutheran Parish Hall in Lexington, Texas. Although the day started out with typical Texas heat, there was a wonderful rain shower that cooled off the afternoon, at least a little bit. We didn't have a huge crowd this year, but the fellowship was wonderful and we got to visit with relatives that we haven't seen in a while. The individual history books have now been updated with the photos from this year's reunion. The Minutes section will soon be updated to include the Business Meeting minutes from this year's reunion. The 64th Retzlaff Family Reunion was held on Sunday July 17 at the Morgans Point Community Center near Belton, Texas. With typical Texas summer heat, we had a surprising turnout of over 100 family members and guests. The picture pages from the photo sessions at the reunion are now available in the Yearly Family Reunion Picture Sets section below. The individual history books have now been updated with the photos from this year's reunion. The Minutes section has also been updated to include the Business Meeting minutes from this year's reunion. 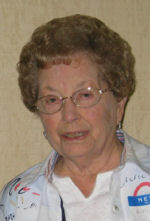 Mrs. Elois Ellabell Retzlaff, 93, of Allen, Texas, passed away Feb. 12, 2011. Funeral services were at 11 a.m. Tuesday, Feb. 15, at the First United Methodist Church in Allen, with the Rev. June Franck officiating. Graveside service will follow at 3:30 p.m. at Waco Memorial Park in Waco. The family will receive friends for a visitation beginning at 6 p.m. Monday at Turrentine-Jackson-Morrow Funeral Home in McKinney. Elois was born March 17, 1917, in Waco, to Thomas Alonzo and Annie Pinkey (Cluck) Callaway, and married Ruben Marvin Retzlaff Dec. 23, 1934, in Waco. Mrs. Retzlaff was a member of the First United Methodist Church of Waco, where she was active in the United Methodist Women's organization and served as the Sunday School Superintendent.She also worked for the Methodist Children's Home in Waco from 1962 to 1980, where she was the Director of Christian Education and the Dietician. She and her husband moved to Comfort, Texas, in 1980 where they built their retirement home and enjoyed the country life, their church, and many friends. In 1994, Elois and Ruben moved to Allen, where she was a member of the First United Methodist Church of Allen and was active in the Church, the Friendship Sunday School Class, the Thursday Night Dinner Group, and her faith.The loves of her life were her devoted husband, her children, and her grandchildren. She was very proud of her family and her favorite times were being with them for meals and fellowship. Mrs. Retzlaff was preceded in death by her parents; husband, Ruben Marvin Retzlaff; son, Ruben Maurice Retzlaff; four brothers; and two sisters. She is survived by her daughters and sons-in-law, Gena and Neil Griffin of Kerrville, Texas, and Vivian and Frank Bates of Allen; daughter-in-law, Cheryl Retzlaff of Lewisville, Texas; nine grandchildren; 13 great-grandchildren; five great-great grandchildren; and many nieces, nephews, and a host of other loving family and friends. Memorials may be made to the Methodist Children's Home, 1111 Herring Avenue, Waco, Texas 76708, (254) 752-0181, or the First United Methodist Church of Allen, 601 South Greenville Avenue, Allen, Texas 75002, (972) 727-8261. Below this announcement section is a pair of reunion photos that cycle through a large set of pictures taken from our over-sixty years of reunions. In the Section Index toward the bottom of this page, there is a new section that includes links to all of the family history books. These are digital versions of the history books family members can see in printed form at the yearly reunion. Each of these books is saved in Adobe Acrobat format, and viewers can download personal copies and print them. They are also available in printed form (see the Order form section later in the same Section Index), as well as computer DVD media. Previously the website only included the yearly family reunion pictures back to 1995 (the digital camera years). We have now added files for every yearly reunion, going all the back to the very first reunion in 1947. These are also in Adobe Acrobat format, and viewers can download personal copies and print them as well. A new page has been added to make it easy for viewers to purchase printed copies of the family history books, the yearly picture sets, and other family publications, all in one, convenient location. Additional features for the site are also on the way, including a guestbook page where you can write your comments and suggestions to the site. The 63rd Retzlaff Family Reunion was held on Sunday, July 17th, 2010, at the Activity Center at Fort Parker State Park, Mexia, Texas. There were approximately 50 family members and guests present, which was more than expected. Jennifer Semler hosted the reunion, and everyone was very pleased with the accomodations and the food and the arrangements. It was a wonderful afternoon of special announcements, fellowship, and opportunities to renew family acquaintances. The reunion pictures can now be viewed on this website here (note that this is an Adobe Acrobat PDF file). You can now find the 2009 Minutes from our recent Retzlaff Family Reunion in Lexington, Texas, online here. The 2010 Retzlaff Family Reunion is going to be very special, as the long-awaited History books have finally been completed. The book for each individual family branch will be available for viewing, (and for the first time this year) available for purchase! The yearly sets of photos from every reunion going back to 1947 will be available as well. Special announcements to changes and updates to the Retzlaff Family History website will also be unveiled during the reunion. These are exciting t imes, and you won't want to miss being present for the beginnings of a new era in our family history. As announced during the 2010 Retzlaff Family Reunion, the newest edition of the Retzlaff Family History Charts book is now available for purchase. You can now own your own copy of the most comprehensive history of the Franz Ferdinand Retzlaff family. This 300-page wire-bound volume includes heraldry charts, ancestry biographies, statistical information, and the complete yearly family reunion minutes since 1947. You can see example pages, and can order your copy HERE. With the updates to the Retzlaff Family History Charts as noted above, several other sections of the website information have been updated as well. These include the hyperlinked charts and the GEDCOM datafile. As Don completes the work on the new history photo books (the replacements for the old black-binder books everyone is used to looking through at the yearly reunions), other major updates will be made to the website. Look here for these announcements. As Donald Alan Retzlaff, our family historian, mentioned at our annual family reunion this year, he has finally, after all of these years, secured a means of easily scanning our ancient black-binder family history books that my grandmother, Emma Retzlaff, so faithfully assembled and maintained for more than twenty years. Since the reunion, he has completed the scanning process! He now has the arduous task of editing each of the individual pictures. 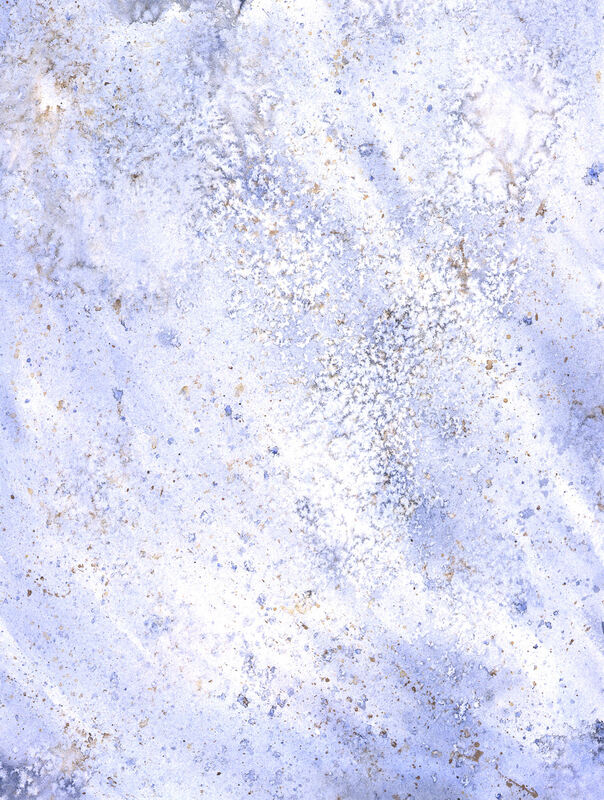 This includes cropping, straightening, sharpening, brightening, removing scratches, and removing faded colors. What these announcement to be appraised of his progress. UPDATE (as of December): All of the pictures have now been edited and individually identified. The next phase of the process begins as Don begins putting together the new books for each family group, as well as a separate set of pictures for each family reunion. The plans are still to unveil the fruits of all this labor during the 2010 family reunion. The 62nd Annual Retzlaff Family Reunion was held on July 19, 2009, in Lexington, Texas, at the St. James Lutheran Parish Hall on Loop 123 and First Street. Wayne Retzlaff and his family again hosted the reunion. Although we were experiencing a bit of a cold snap (only in the high 90's), everyone enjoyed the air conditioning, the wonderful food and even better fellowship. You can view the official family pictures by clicking here. Please note that the format of the reunion pictures is different than in previous years. This year they are displayed in an Acrobat PDF file. If you don't already have Acrobat installed on your machine, you can download a free copy here. We will be moving the previous years' reunion pictures to this format as well, which will make it easy for everyone to download their own copy of all the pictures. Many family members were taking pictures this year, so if you would like to, please email your pictures to Don at RetzlaffFamilyHistory@gmail.com and he will be happy to add them to the Reunion page. As soon as the meeting minutes are available, they will be posted on this site. Retzlaff Family is now on Facebook! We've recently setup a new group on Facebook titled "The Retzlaff Family"! Please login to your facebook account and request membership. After you've joined, you'll be able to easily add pictures/annoucements to share with the entire family. We believe it will be an excellent enhancement to this site. We look forward to hearing from you on Facebook! You can now find the 2008 Minutes from our recent Retzlaff Family Reunion in Lexington, Texas, online here. The 61st Annual Retzlaff Family Reunion was held on July 20, 2008, in Lexington, Texas, at the St. James Lutheran Parish Hall on Loop 123 and First Street. Wayne Retzlaff and his family again hosted the reunion. The heat was oppressive yet again, but the BBQ was great, the homemade ice cream cold and delicious, and the chance to meet with family again was enjoyed by all. You can view the official family pictures by clicking here. Many family members were taking pictures this year, so if you would like to, please email your pictures to Don at RetzlaffFamilyHistory@gmail.com and he will be happy to add them to the Reunion page. During the 2008 Retzlaff Family Reunion, copies of a questionnaire form was passed among the family members giving everyone the opportunity to include more detailed information about themselves and their relatives for the Retzlaff Family History Charts publication. An online version of this same questionnaire is available here. Please either fill out this form online and submit it via email, or print a copy of the form and submit it by regular postal mail. This additional information you provide will be added to the 2008 Retzlaff Family History Charts book (announced below), and will provide a much-more detailed history of our family than we've ever had before. We look forward to receiving your questionnaires. As was announced during the 2007 Family Reunion, Don Retzlaff has written a book about his mother, Emma Christine Retzlaff, who is known by most of our family members as "Cousin Emma." For over twenty-five years Emma was the driving force of our reunions, corresponding with relatives around the world, collecting the family history data, directing the picture taking every year, and performing the duties of secretary for the family. The comprehensive book is dedicated to her memory, and includes detailed information about her life, including many photographs. You can find out more about this book (including an excerpt), and order your copy today by going here. You can now find the 2007 Minutes from our recent Retzlaff Family Reunion in Lexington, Texas, online here. We are preparing for the release of the 2008 updated edition of the Retzlaff Family History Charts publication. We are striving to include even more family member pictures, all of the updates/corrections provided by dedicated family members, and the recent family reunion minutes. Other additional features are planned as well. Please remember that we are able to include more detailed information about each family member beyond just birth, marriage and death dates. We are able to include personal information (such as education, accomplishments, awards and publications), locations of personal events (such as birthplaces), and any other information family members would like to have included. But we can't include your information if we don't know what it is! So please send your updates to RetzlaffFamilyHistory@gmail.com and be sure and include the family member's full name and birthdate (for clarification), along with the information you'd like to include. More announcements will be provided here when the publication is available in 2008. The 60th Annual Retzlaff Family Reunion was held on July 15, 2007, in Lexington, Texas, at the St. James Lutheran Parish Hall on Loop 123 and First Street. You can view the official family pictures by clicking here. Although Texas is having a reprieve from the summer heat this year, many family members voiced concerns about the flooding in the area. Don Retzlaff, Retzlaff Family Historian, announced the availability of a new family publication, Cousin Emma, a book about the family's long-time family historian and matriarch, Emma Christine Retzlaff. More information about this book on this website. Don also announced the plans for the 2008 edition of the Retzlaff Family History Charts, and the future availability of the yearly family reunion photos in downloadable PDF format. A new email address has been setup for the Retzlaff Family History website. The new address is . Please address all email correspondence to this new address. Bobby Vance recently sent in the 2001 Retzlaff Family Reunion Minutes recorded by his mother, Ruby Vance, our family recording secretary for many years. This was the last minutes and reunion she was able to attend. Thank you, Bobby, for locating these minutes and sending them in. These minutes can be read here. The minutes for our 2006 Retzlaff Family Reunion on now available on our website here. We are still missing several of the recent years minutes. If anyone has a copy of those minutes, or has a good memory and can remember the events for the years 2002, 2003, and 2005, please pass them along to this website to the email address RetzlaffFamilyHistory@gmail.com. Our postal mailing address has changed. The Hyperlinked History Charts have been reformatted to include a thumbnail image on the pages, rather than merely a camera-like graphic. You can still see the full-sized version of the picture by clicking on the thumbnail. A new document has been added that includes Ruby Vance's details of the first five Retzlaff Family Reunions. You can view this document here. he following is an assemblage of information maintained by Don Retzlaff ( ) about the Retzlaff family, as originally maintained by Emma Retzlaff, Don Retzlaff's grandmother, and Don and his parents, Don and Norma Retzlaff. The Retzlaff family have been holding family reunions since the 1947 and have put together a large amount of information, primarily photographs of the reunions and newspaper articles that various family members have donated to the family collection. Until the early eighties, the ancestral charts were maintained by hand by Emma Retzlaff. During one hot summer, Don produced a typeset version that was designed to be easily maintained. A few years passed and he determined that they weren't as easy to maintain in that format as he had hoped. With the added help of a personal computer, however, he was able to write a series of programs that automatically printed the ancestral charts. All of this was happening, one must realize, long before the existance of any of the major commercial ancestral programs, such as Family Origins by Parsons Technology. Since that time, Don has converted the original data format of his own invention into the standard GEDCOM format supported by the Church of Jesus Christ of Latter-day Saints. 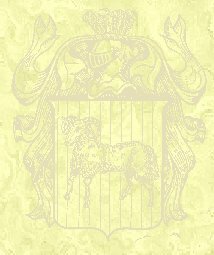 The GEDCOM format of the Retzlaff Ancestral data is available for downloading in a later section of this document, for anyone that is interested. Also included are several of the other informational sections that were part of the original printed Retzlaff Family History book. Please feel free to contact Don at or to give him your comments or any additional information you might have about the Retzlaff family. Don looks forward to hearing from you. Please Note: A scan of the US Residential Phone Directory CDrom produced nearly 1,200 Retzlaff's across the country. Most of these people (to our knowledge) are not directly related to Don's family. All information provided here was assembled by Emma Retzlaff of Dallas and provided by other relatives that have attended the yearly Retzlaff Family Reunion held in the North Texas area (in recent years the most common location has been Lexington, Texas). If you or someone you know should appear in our ancestral charts and currently don't, we'd love to hear from you.